The Federal Government plans to finance Nigeria’s N1.859tn budget deficit in 2019 by introducing new taxes and adopting a concessionary financing system under its privatisation programme. The government also stated that the projected deficit, at 1.33 per cent of the Gross Domestic Products, was still within the threshold stipulated in the Fiscal Responsibility Act 2007. 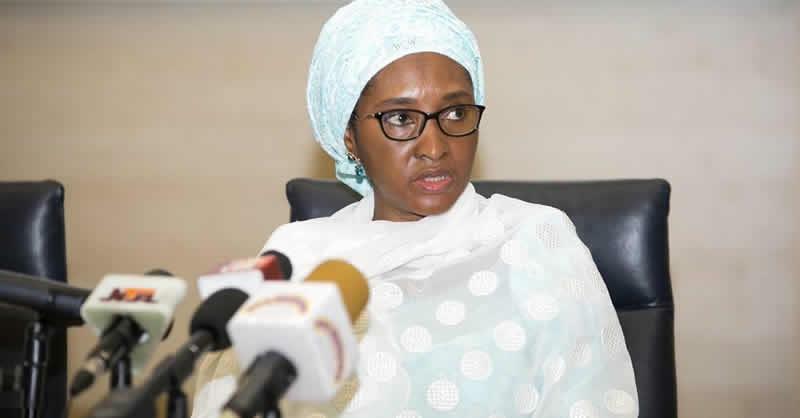 This was contained in the presentation by the Minister of Finance, Zainab Ahmed, before the House of Representatives Joint Committee on the 2019-2021 Medium Term Expenditure Framework and Fiscal Strategy Paper in Abuja on Tuesday. The panel is made up of the Committees on Finance; Appropriations; and Aid, Loans and Debt Management. Ahmed said the government had designed a new strategy for revenue growth to ensure a sustainable revenue flow system. She added that the ministry was in talks with the Federal Inland Revenue Service to identify new taxes, while the Treasury Single Account policy implementation would be extended to foreign accounts operated by government agencies. The minister said, “We have identified new revenue streams and we are working to tap into them, especially the identification of new taxes for which we are working with the FIRS to bring that to fruition, of course with an amendment to relevant tax laws. Half of the borrowings, N824.82bn, would be sourced from domestic sources, with the other half from foreign sources. Also, the Director-General, Budget Office of the Federation, Mr Ben Akabueze, said Nigeria was expected to continue to experience growth from 0.8 per cent in 2017 to 2.1 per cent in 2018 and 3.01 per cent in 2019, after emerging from recession in the second quarter of 2017. He gave the breakdown as oil revenue of N2.32tn, which is 77 per cent of budget and 64 per cent higher than 2017; Company Income Tax of N637.25bn, which is 80 per cent of budget and 1.7 per cent higher than 2017; and Customs Collection of N303.91bn, which is 94 per cent of budget and 16 per cent higher than 2017. Akabueze assured Nigerians that the government would continue with its fiscal strategy of directing resources to most productive and growth-enhancing sectors, while efforts would be intensified to increase revenue. He added that the government would equally leverage private capital to supplement capital allocation from the budget. He stressed, “We will closely monitor the situation and will respond to any sustained changes in the international oil price outlook for 2019. Mr President has directed the Nigerian National Petroleum Corporation to take all possible measures to achieve the targeted oil production of 2.3 million barrels per day. He said, “For the year 2018, the Federal Government gave the FIRS a collection target of N6.747tn. Analysis of actual collection figures for the year ended December 2018 shows that we collected a total of N5.320tn, which represents 78.86 per cent of the target. Such measures, according to Fowler, include Strategic Revenue Growth Initiative, tax audit, use of technology such as VAT Auto Collect, State Offices of Accountant-General Platform, integration with GIFMIS for Federal Government MDAs, e-Service and mobile payment options. Others, he said, were sustained enforcement activities, Voluntary Assets and Income Declaration Scheme and amendment to tax laws to improve collection. The Customs boss also noted that the strategy would also guide against diversion of any collectable revenue.